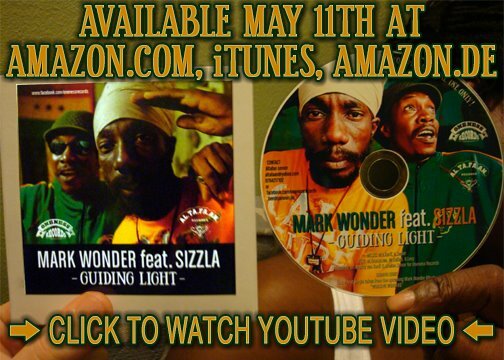 The amazing reggae singer Mark Wonder has just released a tune featuring Sizzla Kalonji entitled "Guiding Light." This wonderful track is the first release from Mark Wonder's upcoming album "Working Wonders" with the label Oneness Records. The single is produced by Altafaan & Oneness Records. Working Wonders will be released in June 2012.